“The Crossing” is the second part of a tripartite composition entitled the Slavery Trilogy, a large-scale choral and orchestral piece developed from Joan Anim-Addo’s libretto, “Imoinda.” It takes place in one of the many ships used to bring the slaves across the Atlantic. Description: This be the UK premiere of this breakthrough work, which is nicely timed to mark the Cuban-American composer’s 65th birthday. The Crossing is the second part of a trilogy, based on a story Oroonoko – arguably the first novel in the English language by 17th century female writer Aphra Behn. The libretto by Joan Anim-Addo is the first to be written by an African-Caribbean woman, and follows the story through the voice of the slave princess Imoinda (played by Brixton-born soprano Nadine Mortimer-Smith), set to music which bristles with rhythms and melodies from the Yoruba diaspora. The biennial London Festival of American Music was started in 2006 by Martinez herself (who was the first woman to conduct at the BBC Proms). Over the last 38 years she has commissioned, premiered and recorded hundreds of new works, and the aim of the festival is to promote the work of outstanding American composers well-known in the States and emerging to UK audiences. The Fifth London Festival of American Music will continue at St James Studio until 14 November 2014. Joan Anim-Addo is Professor of Caribbean Literature and Culture at Goldsmiths, University of London and Director of The Centre for Caribbean Studies. Her recent publications include the poetry collection, Janie Cricketing Lady (2006); and literary history, Touching the Body: History, Language and African-Caribbean Women’s Writing (2007), her co-edited Special Issues include Feminist Review Affect and Creolisation (2013) and Black British Feminisms (2014). Collaborating with Odaline de la Martinez, she has developed ‘The Crossing’ from Imoinda or She Who Will Lose Her Name (2003, 2008). 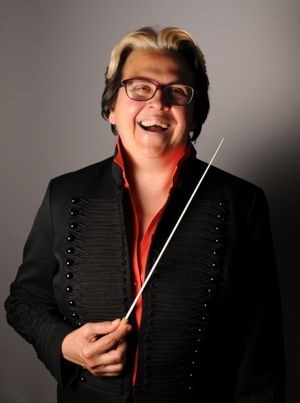 Odaline de la Martinez is a dynamic composer and conductor whose impact on the perception of new music has been profound and enduring. Born in Cuba and raised in the USA, she is one of Britain’s most vibrant and gifted musicians and the first woman to conduct a complete BBC prom at the Royal Festival Hall. In 1976 she founded Lontano (string orchestra) which has featured some of the most noted, inventive and radical names in contemporary music. Lontano is synonymous with ‘the future in music’ and the London Festival reflects new music in America today, as well as diversity of gender, generation and geography. Click here to visit the website and to book. For the original article, see http://www.fringeopera.com/whats-on/the-crossing-london-festival-of-american-music. http://www.youtube.com/watch?v=-D_UGT3lAj4 (podcast: Odaline de la Martinez talks about the fifth London Festival of American Music).